Godolphin’s retained rider James McDonald will be re-interviewed in Sydney this week after Racing NSW studied financial statements, betting records and communication logs in relation to his victory on Astern in December 2015. The jockey was charged with having ‘an interest’ in Astern’s win at Randwick, and had his phone seized on November 15. 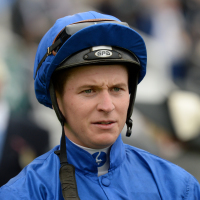 It is understood that at least one other jockey has already been interviewed about the race, which Astern won by two and a half lengths after being backed in from 4.60 to a starting price of 3.50 (5/2). Stewards expect to able to finalise a date for the inquiry upon completion of their interviews this week. Well known Sydney based punter Anthony Gardiner has also been asked to appear for interview, although requests to him and his legal representatives have so far failed to yield a response. Considered one of the best saddle stars in the world, McDonald has already won 34 group one races spanning three different countries. Sheikh Mohammed’s Godolphin team reacted to McDonald’s standing down by calling in European retained rider James Doyle to fill the void. Doyle has already ridden three winners in his first fortnight in Sydney. Meanwhile, the Australian Jockeys’ Association has moved to distance itself from calls for thoroughbred racing to follow harness racing’s lead and ban the use of whips. Harness Racing Australia announced plans to abandon the use of the whip in races from September last year. Racing Australia is mulling a review chaired by Des Gleeson into the whip rule, which currently allows jockeys to strike a horse no more than five times before the 100-metre mark and unlimited thereafter as long it’s not in consecutive strides.